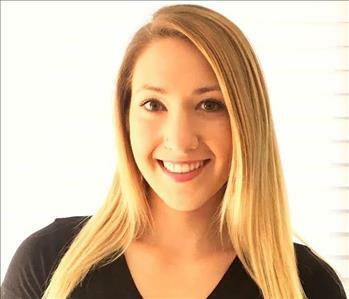 Alicia is our office manager here at SERVPRO. She has been with the company since the very beginning. 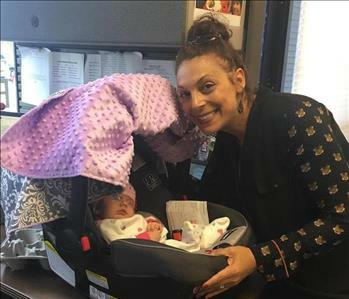 Alicia is there to help with anything and everything! From field problems, to marketing needs, to cleaning supplies, Alicia has no problem stepping in to help! 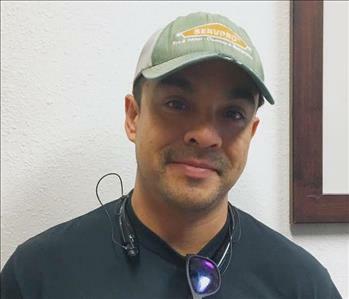 Tyrone has been a Supervisor/ Project Manager since 2012 with SERVPRO. Tyrone enjoys interaction with different people on an everyday basis. He also enjoys the challenges that come with being a Supervisor / Project Manager. He believes in the saying "It's not broke, why fix it?" which is what makes him a top SERVPRO Supervisor! Michael is a lead Tech at SERVPRO. 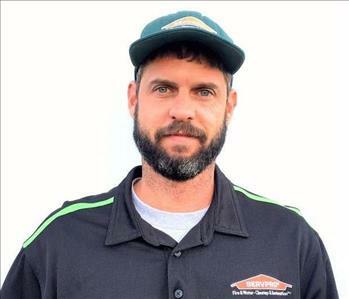 He has also worked for SERVPRO of North Atlanta for 5 years, SERVPRO of Philadelphia for 6 years, and has been with SERVPRO of Sorrento Valley since 2012. Michael enjoys the diversity in our industry and the great fellow co-workers that come along with it. He loves helping people out in difficult situations in time after a water/fire damage. If Mike could change something about SERVPRO, he would like to bring back the product Sporcidin. Sporicdin is a chemical that is currently banned after a meeting on how and how not to use it. He feels that it was (and still is) the best product in our industry for preventing microbial growth. 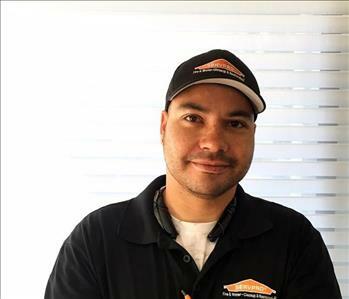 Danny is one of our original lead technicians here at SERVPRO. He has been with the company since 2014. Danny is the affectionate type of person. He has the ability to make a worse case situation seem like a walk in the park! 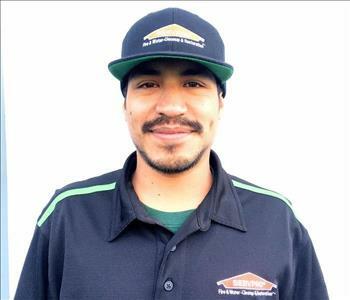 Oscar is another one of our original lead technicians here at SERVPRO. He has been with the company since 2014. Oscar enjoys working with the crew here at our office. He gets along with everyone, which is something that makes him a great situation handler when a water damage or fire breaks loose! Meet Junior! 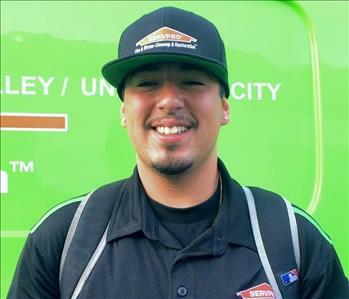 Junior has been with SERVPRO of Sorrento Valley since the middle of 2016. This guy clearly takes his job very seriously. Seeing different types of jobs everyday he knows that each and every client deserves a different type of comfort and care. He is passionate about helping others and providing the comfort they need during stressful situations. 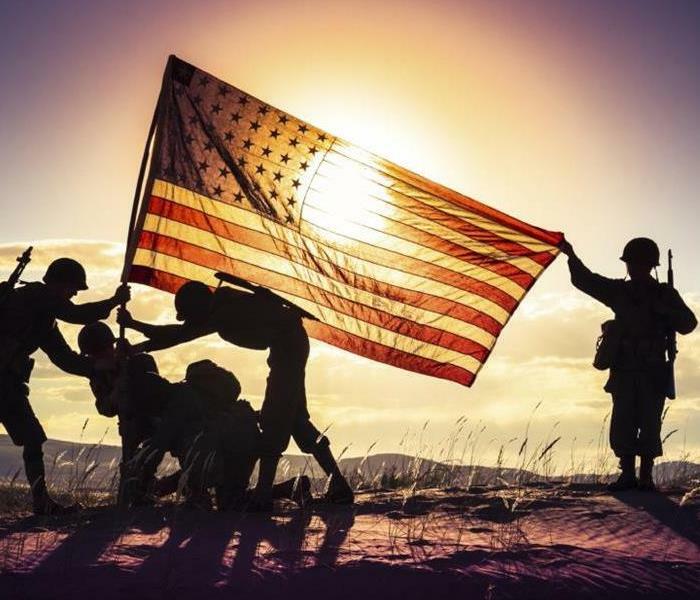 You are sure to see his wonderful work ethics if you ever expierence any sort of loss. Rick is the man that is here to make everything "Like it never even happened." 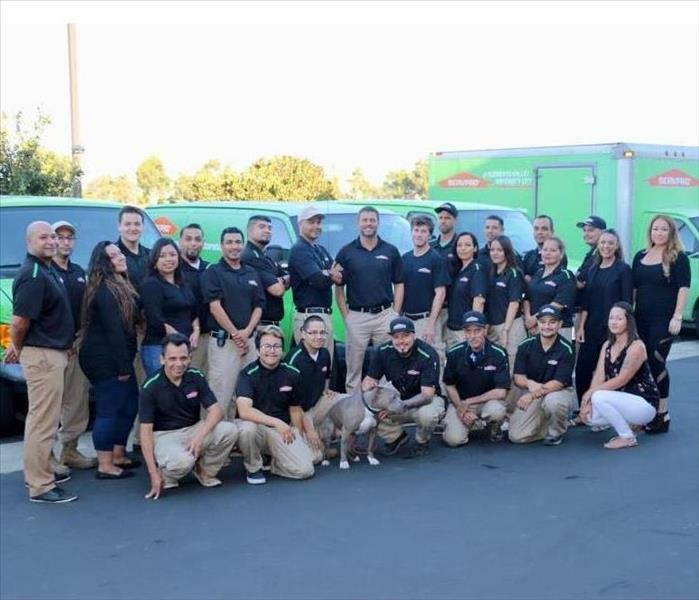 Since SERVPRO Sorrento Valley has been established, Rick has been here to reconstruct your property after the water damage has been taken care of! Meet our audit expert, Laura! Laura has been with us since 2015. If anyone has a question regarding the logistics of a project, Laura always has the answer! Meet our one and only Angelica! 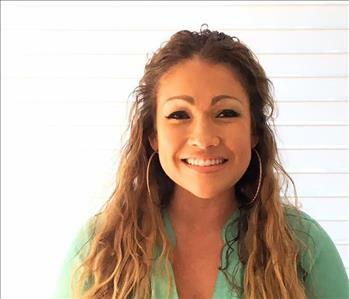 Angelica has been with SERVPRO of Sorrento Valley since November of 2016. She began with us during our busiest season and was able to jump right into the madness. Angelica has the wonderful ability to remain calm in very stressful situations. 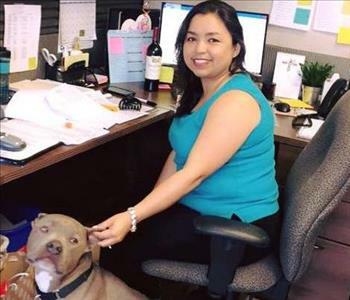 She makes everyday a GREAT day at SERVPRO of Sorrento Valley! Liron is a Marketing Representative at SERVPRO. She has been with us since 2014! Liron loves to meet people and develop friendships, and keep those friendships. She is the amazing type of person that will make you want to open up to her and share your feelings, without you even noticing! Liron wishes she had more time to be able to build new relationships. Say hello to our very own mascot, Scooter! Scooter has been by Jim's side since SERVPRO Sorrento Valley / UTC has been established. 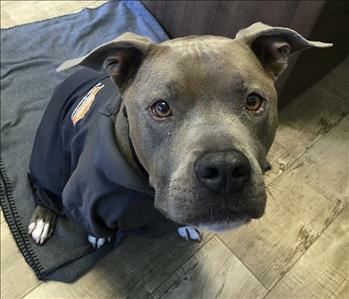 Scooter enjoys motivating our techs to do a good job, and keeps an eye on our office staff to ensure our customers needs are satisfied!